Why do people use Facebook? What does it offer, besides an enormous user base, that makes it such an attractive internet destination? At it’s core, it’s just a tool for sharing short posts. Twitter and Tumblr also accomplish the same thing, for the most part. 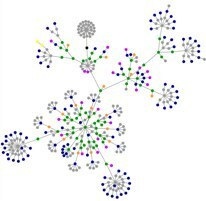 Blogs can do everything Facebook or Twitter can do, though they lack the centralization. You have to manually go out and visit them to see what’s new, or use RSS, which isn’t exactly intuitive to less technical users. Blogs are, in their barest form, a reverse-chronological listing of postings. Those posts can be of any length, and contain any type of information. Plain text, images, audio, video, etc.. Some platforms, like WordPress and Tumblr, even offer features to differentiate between types of posts. Photo galleries? You can even do that if you set it up right. Profiles? That’s what About pages are for. The only thing that’s missing is a standardized federation API that broadcasts information about a blog, linking them together so you can have user-friendly news feeds like Facebook or Twitter. The API would include basic profile information, such as your name and the URL of your chosen avatar, the URL of the blog, and anything else that a social networking would need to query. The U.S. House of Representatives recently passed CISPA, the Cyber Intelligence Sharing and Protection act, a far-reaching and vague bill that would enable warrantless spying on internet traffic by proxy of employers, ISPs and websites you use. The only reason necessary is suspicion of a “cybersecurity threat,” which is so loosely defined as to include the use of anonymization tools like Tor and VPNs, or using GPG to encrypt your emails. Perhaps even BitTorrent. Basically, anything that somebody could deem “suspicious” is enough justification for a business to monitor your internet usage and report their findings back to the Department of Homeland Security. The Electronic Frontier Foundation has a frequently asked questions page about CISPA, for more in-depth information, as well as a form to contact your senators. Since the bill passed the House, it’s up to the Senate to strike it down. President Obama issued a statement of his intent to veto a bill that would “sacrifice the privacy of our citizens in the name of security,” but senatorial opposition is still needed. CISPA stands for The Cyber Intelligence Sharing and Protection Act, a cybersecurity bill written by Rep. Mike Rogers (R-MI) and Dutch Ruppersberger (D-MD) (H.R. 3523). The bill purports to allow companies and the federal government to share information to prevent or defend from cyberattacks. However, the bill expressly authorizes monitoring of our private communications, and is written so broadly that it allows companies to hand over large swaths of personal information to the government with no judicial oversight—effectively creating a “cybersecurity” loophole in all existing privacy laws. Because the bill is so hotly debated now, unofficial proposed amendments are also being circulated and the actual bill language is in flux. “Cyber” bills of any kind are pointless, even when they’re not harmful. There is no crime that can be committed using a computer that is not already sufficiently covered by existing legislature. There are no laws specifically for “ski-mask-robbery” or “battery-with-an-encyclopedia,” and neither should there be “computer-thievery” or “internet-fraud.” You don’t need “cyberbullying” laws, for example, when you already have laws against harassment, assault and battery, slander/libel, et cetera. Back in the spring of 1997, Dave Winer launched a website known as Scripting News. It was one of the first sites that would come to be known as weblogs, or simply “blogs.” Mr. Winer is famous for his involvement with the development of blogging, RSS, podcasting and Content Management Systems. Of course, the real “first blogger” is hard to pin down. While it may have been Winer, Justin Hall’s Links From the Underground, which launched in 1994, is also a contender. Meanwhile, TidBITS.com is over 21 years old. It wasn’t exactly a blog when it was started in 1990 as an “online newsletter and Web site” about the Macintosh, but it has slowly adopted that format. It’s one of the oldest still-updated websites on the internet. As for domain names, the first one to be registered with a .com TLD was Symbolics.com, followed shortly by the other 99 oldest domains registered from 1985-1987. The first website on the first web server ever would, of course, be info.cern.ch. The original page that was hosted there has been replaced over the years, but it’s still something of a historical landmark. Incidentally, the trend of hosting websites on a www subdomain was accidental, and caused by the CERN site. The Canadian Radio-Telecommunications Commission approved Canada’s largest ISP, Bell Canada, to implement Usage Based Billing (metered internet). Instead of paying a flat rate for all-you-can-eat internet service, or around 200GB of monthly transfer, you pay $31.95 for 25GB worth of internet usage, and at least $1.90 per gigabyte if you go over that limit. And here’s the fun part: Bell Canada owns most of the “last-mile” copper connections in Canada, so competing ISPs that use the same lines will also be metered by Bell. Netflix streaming uses about 1GB per hour. So you could watch 25 hours (10-12 movies) in a month, assuming you did nothing else. A 45-minute TV show or video podcast downloaded via iTunes is about 200MB in size. So, about 125 in a month. A 1-3 minute video from YouTube is around 5-10MB in size, depending on the quality. A one-hour (standard definition) stream from Hulu is about 350MB. You could cram about 70 hours of Hulu streaming into one month, again, assuming you only did that. Online gaming, whether a console game or an MMORPG on your PC, uses very little data. In order to get around network latency issues (to keep the game from lagging badly) games send frequent, but very small, data packets. You probably wouldn’t use more than 50-70MB per hour of gaming, though it could vary greatly depending on the game. Also, voice chat would increase the number significantly. Streaming Last.fm music will use 30MB per hour using a low-quality 64kbps stream, and 60MB at 128kbps. You would eat through 25GB in 375 hours. iTunes AAC music downloads generally range from 70MB-200MB per album. That’s about 128 albums per month. One can’t help but wonder if Bell Canada wishes to prevent Netflix—which just recently became available outside of the United States—from being widely adopted in Canada, so more people will continue to use their cable television service. What does 5GB (Gigabytes) Get Me? EDIT: Apparently petitions work in Canada. UBB is being rescinded or overturned by popular demand. It’s pretty obvious that I have a significant interest in iPhone apps and their development. I like to cover the subject here, despite the fact that the site is called “Webmaster-Source” and not “iPhone-Source.” Why is that? I think mobile applications are as much apart of the field of webmastery as web pages are. 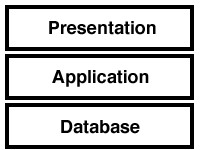 Just as a web application can serve-up an HTML frontend or an RSS feed or a JSON result set, it can also have a mobile interface in “app form.” Modern websites generally separate the content from the business logic and the presentation layer, allowing for interface-agnostic systems like Twitter. I can use most of the functions of Twitter through the main website or through HootSuite or through one of the many iPhone apps. True, mobile apps are not hypertext, but they’re yet another facet of the internet. Let’s face it, normal web pages don’t work terribly well on pocket-sized devices. The iPhone made it tolerable to browse the web on a mobile device, but it’s still not an optimal experience. Apps are the preferred interface, whether we all like it or not. What do you think: is mobile app development as closely linked to web development as I consider it? Remember TechCrunch’s internet tablet, the CrunchPad? It sounded like an interesting product, and it wasn’t too far away from being being a reality. And then it all came crashing down. Bizarrely, we were being notified that we were no longer involved with the project. Our project. Chandra said that based on pressure from his shareholders he had decided to move forward and sell the device directly through Fusion Garage, without our involvement. TechCrunch is currently pursuing means of litigation against Fusion Garage, but the project is, for all intents and purposes, dead. The intellectual property behind the device is owned jointly between the companies, and TechCrunch owns the trademark “CrunchPad” outright. The U.S. Federal Communications Commission has approved a plan to develop a set of regulations that will help prevent the telcos from modifying web pages, throttling applications’ transfers, “deprioritizing” packets from competing applications or servers, or other dirty tricks along those lines. Essentially, these are regulations to prevent regulation or ISP tampering. They’re to make sure that the ISPs stay as what they should be: indiscriminate carriers of unopened and untampered packages. It’s no secret that cellular providers price-gouge and under-deliver, but apparently they’re not well informed on what devices are worse for their networks. Ars Technica reports that smartphones use up to eight times more cellular capacity as laptops, based on a recent study by mobile internet provider Airvana. The basic idea is that a cellphone does a lot of polling, making various checks and requests as long as the device is on, and most people leave their phone on pretty much all day. Providers of cellular internet service traditionally have charged steep rates in order to have service for your laptop, and then cap your transfer at an almost unusable level. For instance, the $60/month “DataConnect” plan from AT&T “includes 5 GB of data,” meaning you will pay rather pricey overage rates if you download more than 5GB of data in a month. Unless all you do is check your email, and maybe do some light web surfing, you’re going to blow through that limit pretty quick. (And if you don’t do much more than that, it’s pretty hard to justify paying $60/month for mobile internet service for your laptop.) You’d better make sure your operating system or applications don’t run any software updates, otherwise you’re probably screwed. TechCrunch has “just about nailed down the final design” for their long-awaited “CrunchPad,” the popular tech blog’s first foray into the consumer hardware arena. 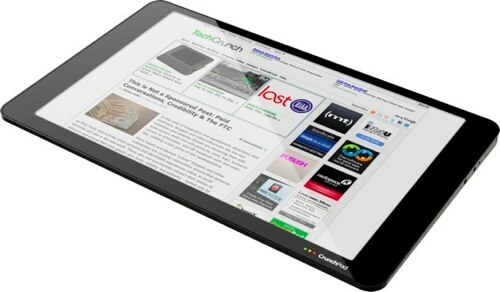 The CrunchPad is to be an internet tablet running a version of Linux and a Webkit-based browser, controlled by a 12-inch multi-touch display. The device is sort of a “giant iPod Touch” that boots directly into a web browser. In this age of internet connectivity and “cloud” web services, you don’t need to carry an entire computer around with you everywhere. Do you know what one of my favorite parts of the internet is? It’s the community, and their willingness to help people out without anything in return. Sure, the web has it’s fair share of trolls and greedy corporate people, but overall you can just approach someone, say a blogger, ask a question, and get a straight answer. Having trouble getting a PHP script or CSS effect to work? 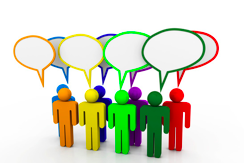 Visit a coding-oriented web forum and ask for advice. One of the many people there will most likely know what’s wrong and spot that typo on line twelve that you missed despite going over the code dozens of times.